At NOR-BUILT Construction we specialize in custom design-build homes. On one of our lots or yours, we can make your dream home a reality and for much less than you’d expect! CLICK HERE to view a list of NOR-BUILT building lots currently available. Building a new home can be stressful. Designing a custom home can be even more so. The staff at NOR-BUILT Construction has the experience and skills necessary to make your custom design-build project a memorable, enjoyable experience. Already have drawings? 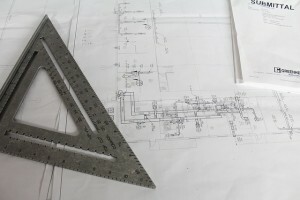 We’re happy to go over your current drawings to provide you with pricing/timeline and provide thoughtful input on your design. Not sure what you’re looking for? Browse through some of the images in our Portfolio to get some ideas for your new home. Use the form below to enter some information about your custom build and we’ll respond as quickly as possible – the information that you provide will provide a great starting point with which to respond to your inquiry. Stop Dreaming – Build it with NOR-BUILT!